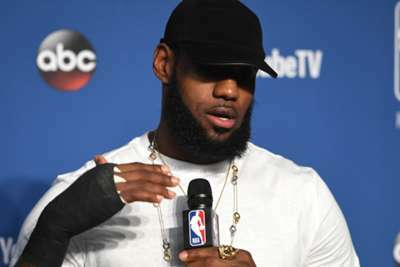 LeBron James believes that US president Donald Trump is using sport as a way to divide the nation. James has never shied away from speaking his mind, especially when it comes to Trump, whom he accused of turning people in the States against each other. During his time in office, Trump has been immersed in numerous sports-related issues, most notably the ongoing national anthem protests in the NFL. Trump has been adamant that players should be forced to stand during the anthem or be subject to suspension, which triggered the passing of a new policy that has since been challenged by the NFLPA. Trump also withdrew White House invitations to the Philadelphia Eagles and Golden State Warriors following their championship-winning seasons after numerous players chose not to be involved in the traditional visit. "We are in a position right now in America…where this race thing has taken over," James told CNN. "Because I believe our president is kind of trying to divide us. "What I've noticed over the past few months [is] he's kinda used sports to kinda divide us, and that's something that I can't relate to." 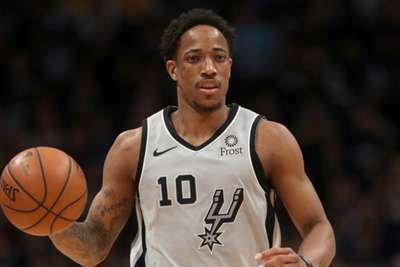 James, who also opened his I Promise School in his hometown of Akron, Ohio, on Monday, credited sports with introducing him to new people and explained how the environment helped shape the way he interacted with those from different backgrounds. "Sports was the first time I was ever around someone white," James said. "I got an opportunity to see them and learn about them, and they got the opportunity to learn about me, and we become very good friends. And I was like, 'Oh wow, this is all because of sports.'"